Light novels are known for their clickbait titles even though the majority of light novels do not actually have clickbait titles. But hey, I fell for it, because out of all the J-Novel Club titles released so far, the only ones I’ve read at the time of this writing are My Little Sister Can Read Kanji and I Saved Too Many Girls and Caused the Apocalypse. I regret nothing. This blog post is an evaluation of the two titles and their potential for fantastic memes. Last month, a new English light novel distributor emerged on the scene. 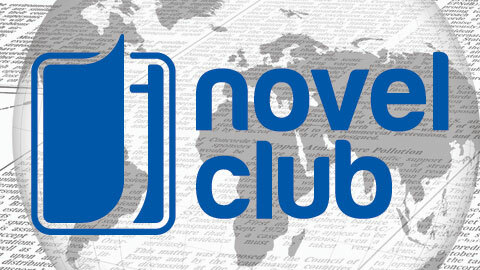 Called J-Novel Club, it promises to publish the latest light novels worldwide in digital format. You might have seen my interview with the site’s owner on Crunchyroll, which goes into more detail about what the site is all about and what sort of titles are available there already. Needless to say, I’m a supporter of the website. It’s a risky and experimental venture, but I definitely want it to succeed. If J-Novel Club manages to take off, we could see more light novels available in English, including the more obscure titles without anime adaptations. I never thought the day would come when I’d be able to read an official English translation of My Little Sister Can Read Kanji, but now that it has arrived, I fall on my knees and thank God I’m alive. So what’s next in the world of English light novels? While I have no way of seeing the future, I do have some tentative predictions about the prospects of J-Novel Club, which I’d like to share in this post.